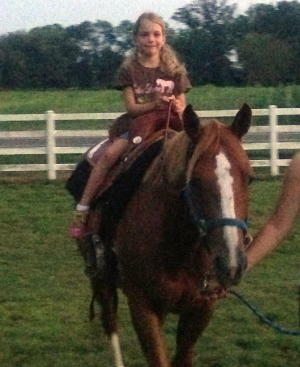 Create a Memory Today That Will Last a Lifetime! 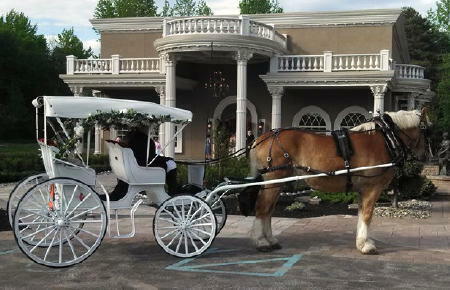 For The Princess In Your Life Book Our Cinderella Carriage Today! 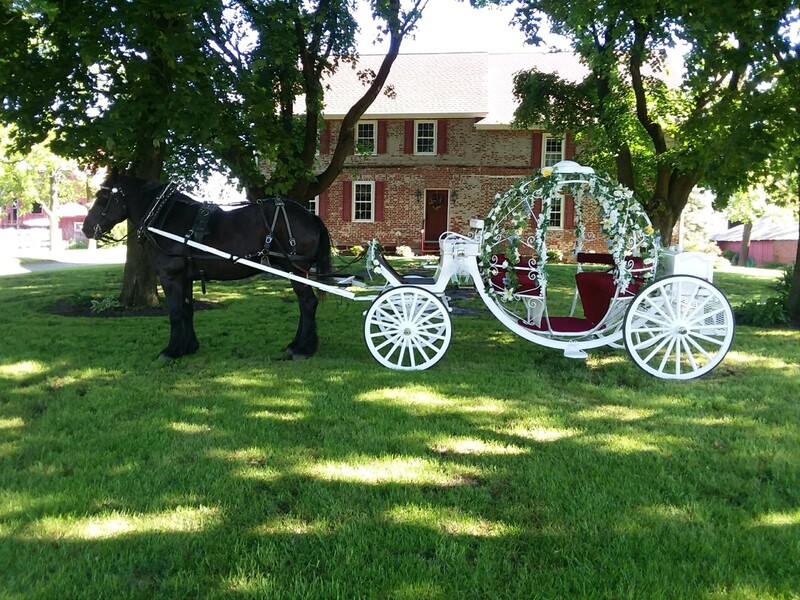 Carriage rides are ideal for making an alluring scene for a romantic date, ensuring an especially romantic engagement story you will share for years to come. 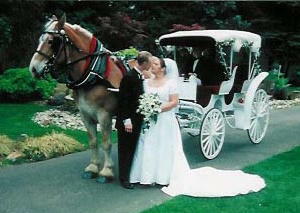 Celebrate your wedding or mark a special anniversary. Your formally dressed driver and coachman will take you along your specified route to your favorite restaurant, anniversary party, wedding venue or another location to complete your remarkable event. 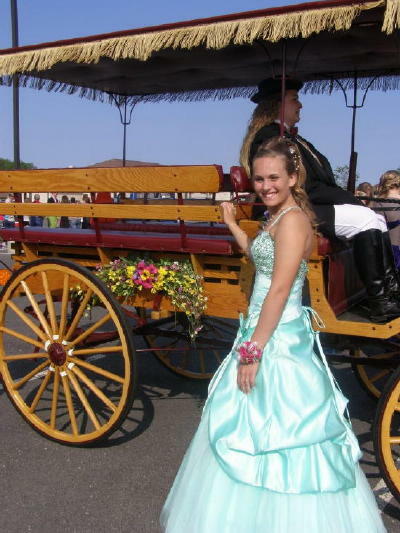 You can choose from a variety of exquisite coaches and wagons for your special sweetheart or a group of friends. 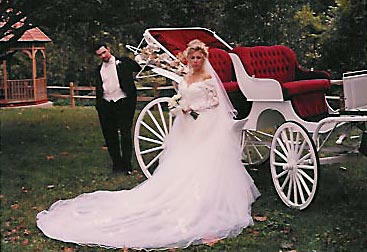 Take a look at the lovely red-velvet surrey for a magical evening with your beau, the Victorian style surrey for you and your closest friends and oak wagonettes for your prom, corporate event or festival. White auto top surrey with red velvet seating. Top can be up for shade with back window open to allow for better viewing, or top may be put completely down. Surrey accommodates two passengers. 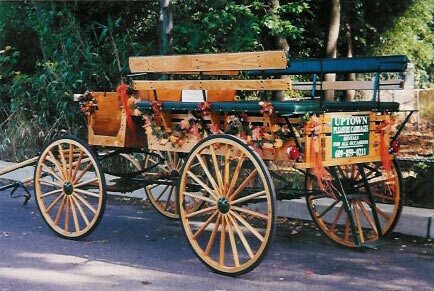 Oak Wagonette with deep green upholstery and seasonal floral decorations. Can comfortably accommodate 6-8 passengers. 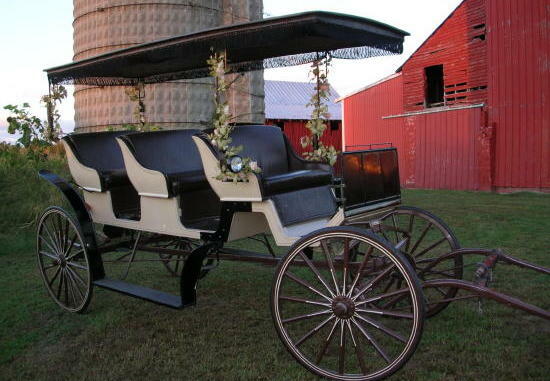 Our Oak Wagonette with burgundy upholstery, fringed top, and seasonal foral decorations. Can comfortably accommodate 6-8 passengers. Cream Victorian style surrey, with fringed roof and brown leather upholstery. Can accommodate four passengers.